When I was growing up, my grandma frequently quoted the old adage, “An ounce of prevention is worth a pound of cure.” It didn’t make much sense to me back then, but now I totally get it. It is far easier, more effective, and less expensive to prevent potential problems than it is to fix them after the fact. This is absolutely true when it comes to employee performance improvement. Setting the stage for success from the beginning will yield far better results than trying to address a performance problem once it begins. Here are six ways to set the stage for high performing, engaged, and happy employees. Hiring people who are qualified to do the job is only half the battle. You also need to find people who will fit in with the culture of your organization. If continuous improvement is the mantra of your organization, it should be discussed from the very first interview and people who don’t seem to get it should be weeded out. It is very easy for employees and managers to get so involved in their immediate tasks and emergencies of the day that they lose sight of the overall goals and mission of the organization. Frequent communication about business objectives helps employees feel connected to the larger picture and work for the greater good. It is really terrible to learn negative business news (especially downsizing or layoffs) about your company from a friend’s Facebook feed. It is important to communicate good news and bad news to employees before it becomes public, if possible. Otherwise they won’t believe that the organization respects their feelings. The brain actually changes in response to a challenge. Make sure that your employees always have the opportunity to try something new and contribute in a different way. Cross-functional collaboration is a great opportunity to help employees learn and grow. Lack of feedback consistently ranks among the top reasons employees leave their jobs. 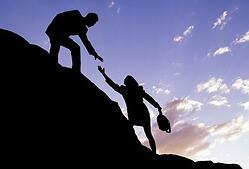 People long to be recognized and rewarded for their successes and to have effective coaching when they struggle. Managers must have the tools and training to deliver in both situations. Nothing is more annoying (and potentially unsafe) than a driver who doesn’t have confidence. They don’t go when it is their turn at a stop sign. They impede smooth traffic flow by driving too slowly, and don’t even get me started about merging. Do you have employees who are like skittish drivers? They are reluctant to make decisions and seek approval for every small thing. If so, take the time to help them develop confidence by allowing them some autonomy in a situation where failure is not the end of the world. Applying these preventative measures across the entire organization will help you avoid performance issues that can be very damaging and painful to correct. Your team is only as strong as the weakest link, so it makes sense to strengthen them all.